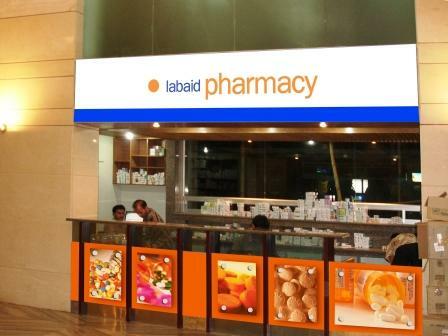 •	Indoor pharmacy	- LSH	Indoor to serve the medicinal needs of Labaid Specilaised Hospital. This also contains the Annex indoor pharmacy for medicinal needs of the Cardiac Annex building. •	LCH indoor – This is to serve the medicinal needs of the Labaid Cardiac Hospital. •	Outdoor pharmacy – LSH Outdoor for specialized outdoor medicines. •	LSH Central pharmacy – This is the central pharmacy for medicinal needs of the entire hospital and also surgical items are given out. This is where all the medicines are stocked also. •	LCH Outdoor – Outdoor pharmacy for the cardiac building. •	LCH Annex outdoor – Annex building outdoor. •	All medicines are brought straight from the manufacturing company not via any company. •	All medicines are maintained at room temperature. •	There are no fake medicines. All medicines are verified. •	There are specially trained pharmacists and sales people who dispense medicines and provide advice on taking the medicines. •	Surgical items are given at very reasonable price which cannot be found anywhere else especially by indoor supply. •	We maintain properly the shelf-life of medicines. That is, there is no chance of expired or near expiry of medicines.